The region around the ***** Hotel Bergland in Sölden is a paradise for winter sports lovers. But there is plenty to see and so away from the pistes. 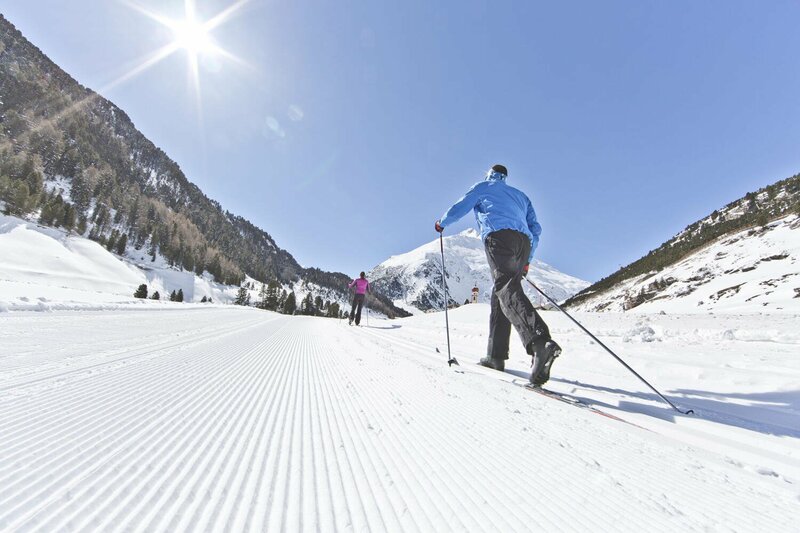 Winter hiking, ice climbing, ice skating and tobogganing are great ways for all the family to make the most of their time in the Ötztal Valley and experience the winter landscape from a different, more peaceful perspective. 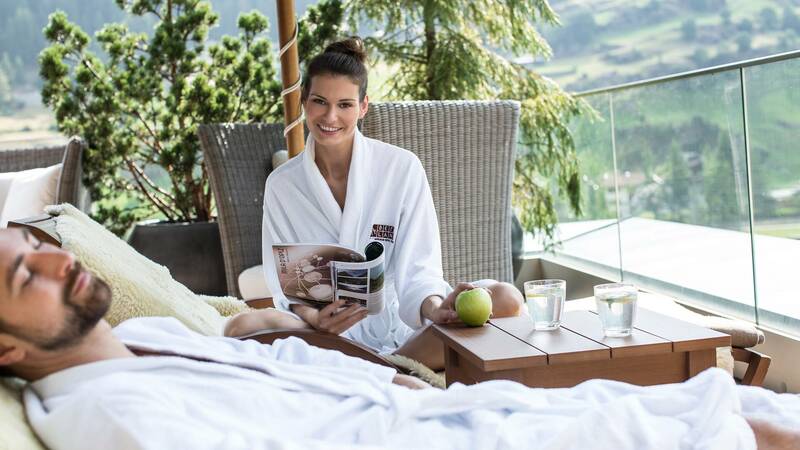 And after a long day out and about in the fresh air, what better way to relax than with a visit to the Sky Spa in the Hotel Bergland? 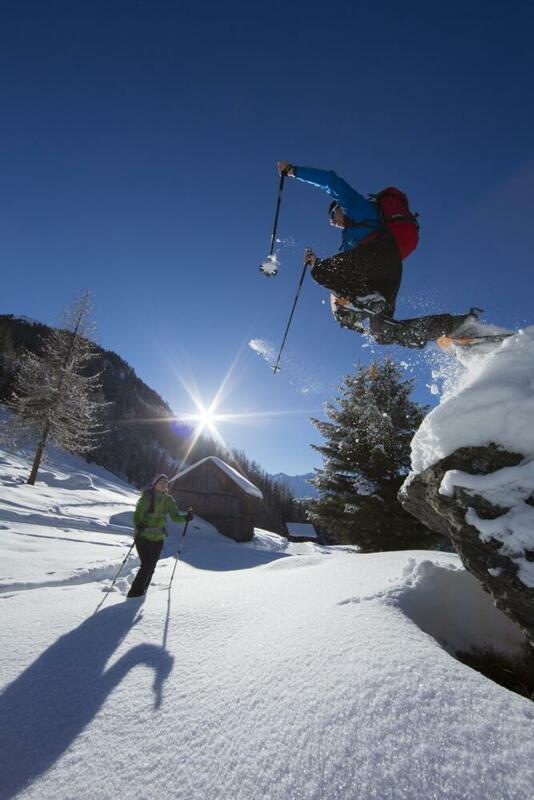 Ski touring, which involves walking up the mountain on skis using "skins" before descending back down off piste, is an increasingly popular sport which can also be practised in the Ötztal Valley. 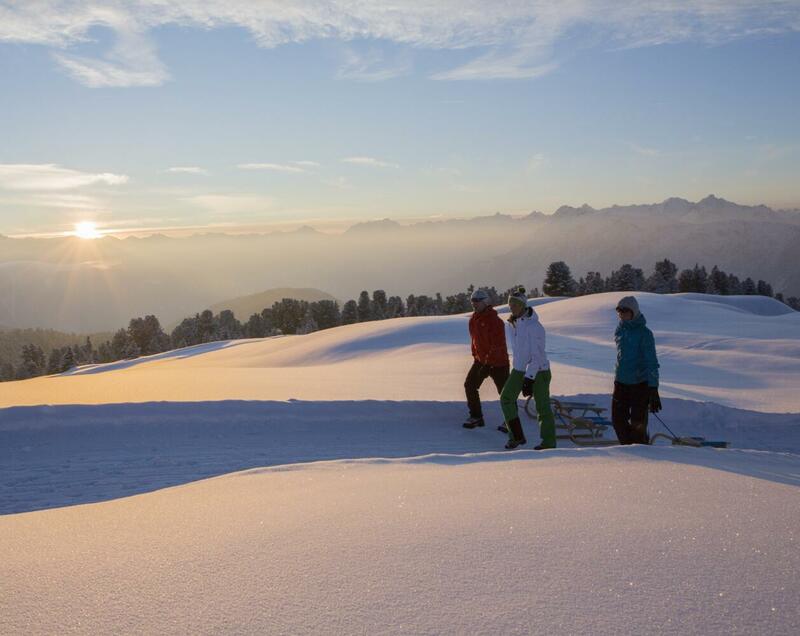 Click here for a number of recommended routes for ski touring proposed by hotel owner Sigi Grüner. He will also be happy to advise guests on the best and safest places to go depending on the current snow and weather conditions. 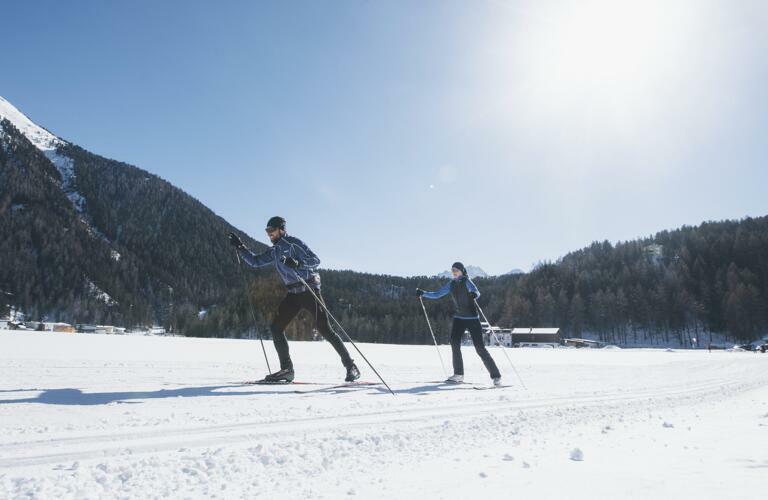 At the end of the Ötztal Valley there are 195 kilometres of perfectly prepared cross-country skiing trails catering for all abilities. Equipment can be hired from our own in-house sport shop. 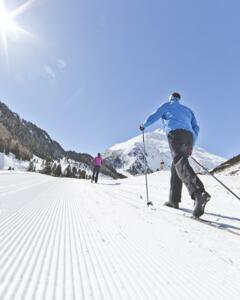 Equipment hire, use of the trails as well as transport to and from the ski area by bus is free for guestcard holders. Snowshoe hiking is an increasingly popular winter activity which allows people to explore the quieter areas of the mountains in winter. At the Hotel Bergland we organise guided snowshoe hikes as part of our Bergland Activity Programme. During the cold months of the year, many waterfalls in the Ötztal Valley freeze over to create ideal conditions for ice climbing. Climbers require skill and expertise to scale these ice giants but there are also regular taster sessions held in Längenfeld where beginners can try their hand at this exciting and challenging sport in the company of experienced mountain guides. Ice skating, Eisstockschießen (a traditional form of curling popular in alpine countries) and ice hockey are all possible on the ice rink in Sölden. Every Thursday from 17:00 there is an ice disco. 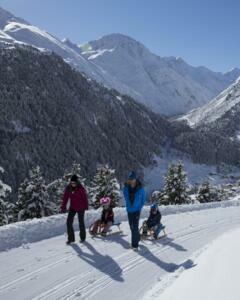 The toboggan run at the Lenzenalm is ideal for families. 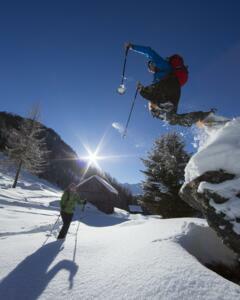 Walk up through the snowy forest, enjoy a meal in the hut sand then whizz back down into the valley! For more details click here. Swimming, sweating and relaxing are the name of the game in the Sky Spa at the Hotel Bergland. The spa is the perfect place to relax after a day out in the mountains or to hide away when the weather is bad. The Ötztal Valley also has other swimming pools and spas such as the Aqua Dome Längenfeld and the Freizeit Arena Sölden. 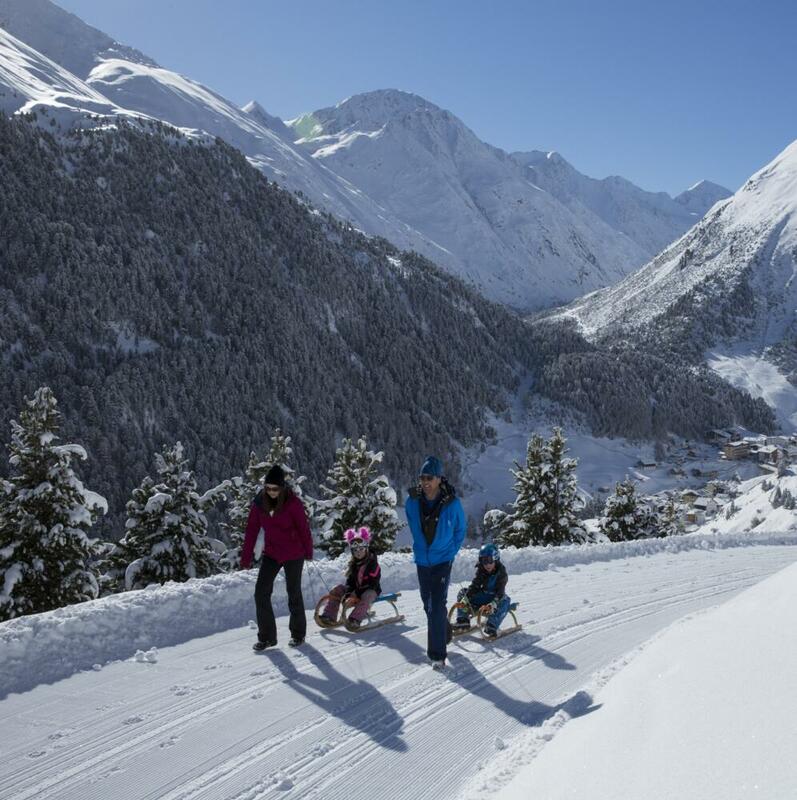 Winter holidays in Sölden are as diverse as the Ötztal Valley itself. 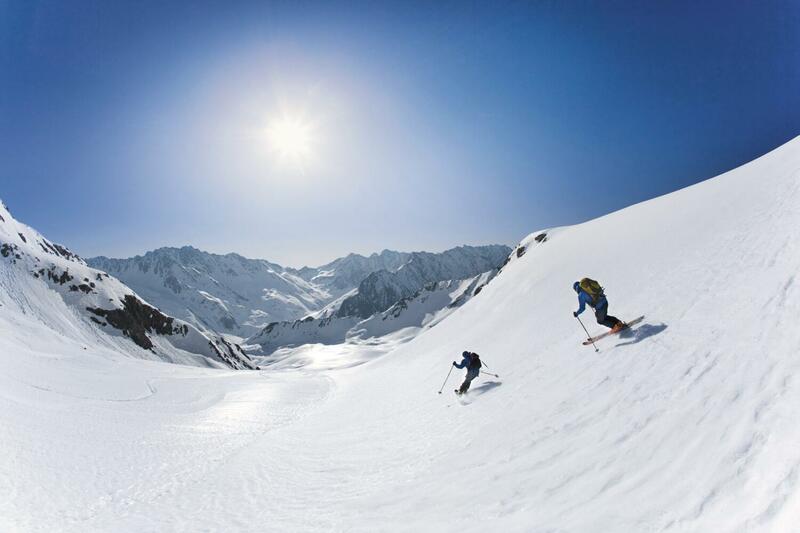 Skiing, food, nightlife, spa and events all make for an unforgettable stay in the heart of the Alps.